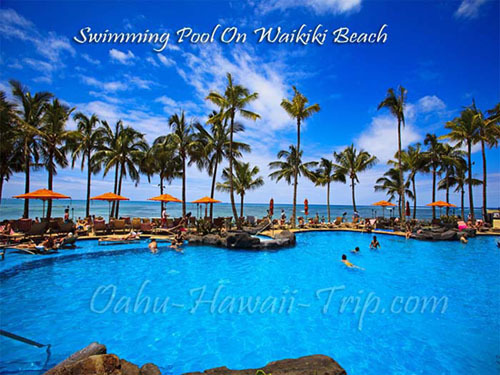 All about Hawaii Information Guide - Do you wish to take a romantic vacation with your spouse but cannot decide on the location? Well, how about Hawaii? There is simply so much you can do in this tropical paradise to make your vacation a truly memorable one. Take a sunbath on the sun-kissed Hawaii beaches covered with white sands. Catch a wave on your surfboard on the crystal clear, azure sea. Relax on the beach with a delicious pina colada in hand. Watch a Hula dance program organized by the local artists, or get down on the floor and match steps with them. One thing's for certain; no matter what catches your fancy you can absolutely never get bored on a vacation in Hawaii. 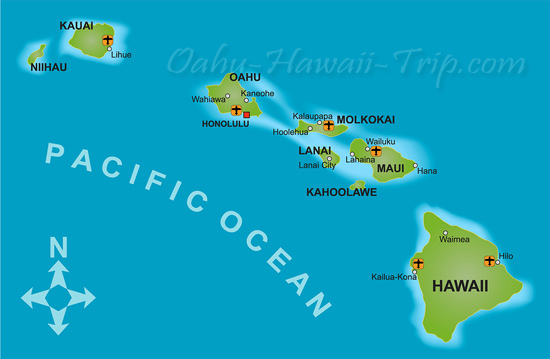 Did you know that Hawaii is the only American state that is not located on the mainland? That's right. Hawaii comprises eight large islands, along with many small ones, all situated on an archipelago in the central region of Pacific Ocean. The name of the largest island among these is Hawaii, which is used to refer to the entire state. Hawaii was first recognized as a state in August, 1959, before which it was simply a cluster of islands under the control of United States. All islands of the Hawaiian archipelago were formed by the solidification of lava from the active volcanoes in the region. Till this date, many of the volcanoes located in the islands are in a dormant state, and may erupt at any moment. The tallest among these, Mauna Kea, is also considered to be dormant, having last erupted approximately 4,500 years ago. It rises to a towering 33,476 feet from the ocean floor, a height that can put even Mount Everest to shame. The diverse topography and tropical climate prevalent in the region about Hawaii has nurtured a highly diversified ecosystem in the region. 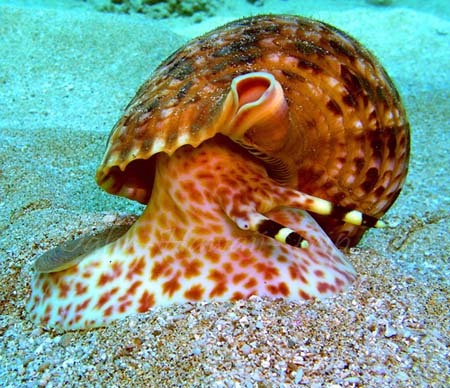 Many of the species of animals and birds found in the region are unique to Hawaii only. The Hawaiian islands are home to more endangered and unique species of birds than any other region in the United States. The population of Hawaii is cosmopolitan in nature, with people from a multitude of races and ethnicities calling the islands their home. From the many aborigine tribes to Hispanics, Europeans, Caucasians, and even Asians have settled in the region, giving rise to a richly diversified culture. In fact, the region about Hawaii is known to have the highest concentration of Asian Americans in the entire country. The State of Hawaii has two official languages, English, and the native Hawaiian. As per 2000 Census, as many as 73.44 per cent of the Hawaiians speak English at home. However, many of the aborigine tribes have their own languages. There is truly something magical about Hawaii. It is a land of wonders; a true tropical paradise. Your life is incomplete if you have never taken a vacation to this youngest American state. Hope You Find These Information about Hawaii Useful - Have a Romantic Oahu Hawaii Vacation!